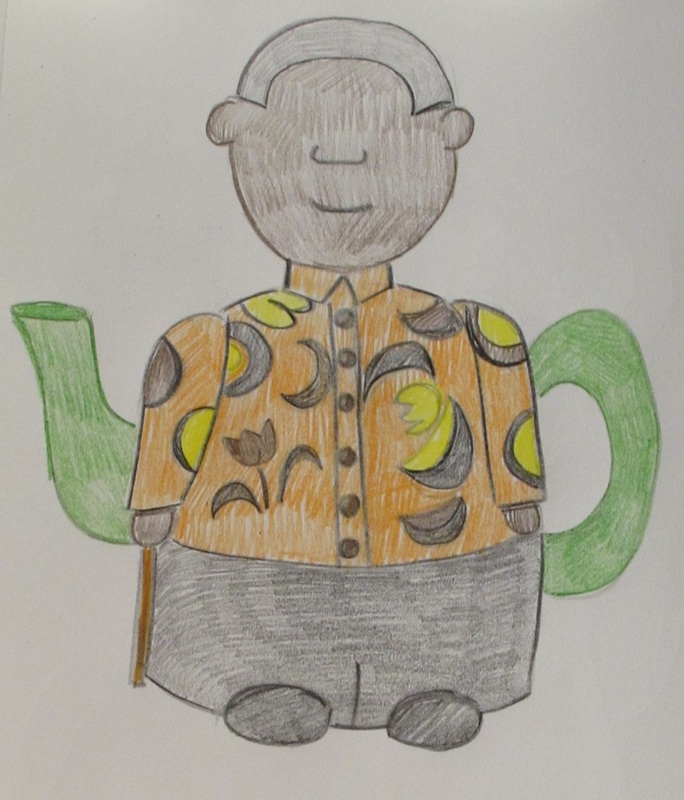 The Nelson Mandela tea cosy was designed for a friend who wanted the great man to adorn her teapot. 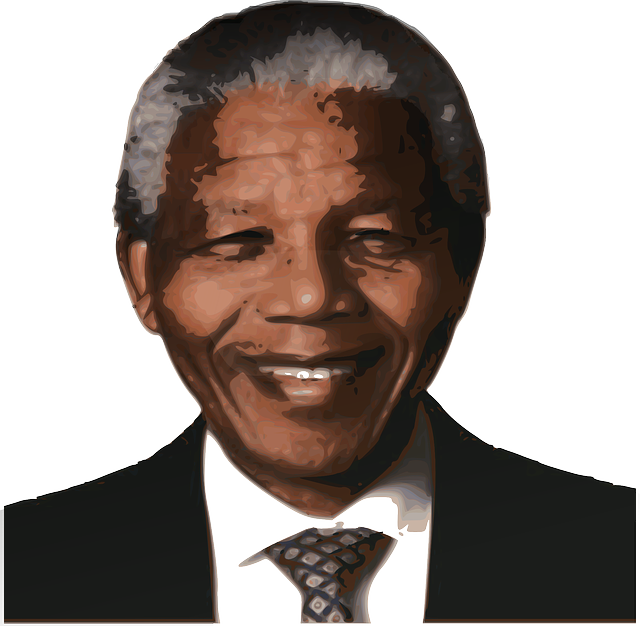 A friend asked me to design her a Nelson Mandela tea cosy. She herself is from South Africa and was keen to have a tea cosy of this iconic figure, so much so that she sent me a photo of herself and Nelson Mandela himself. 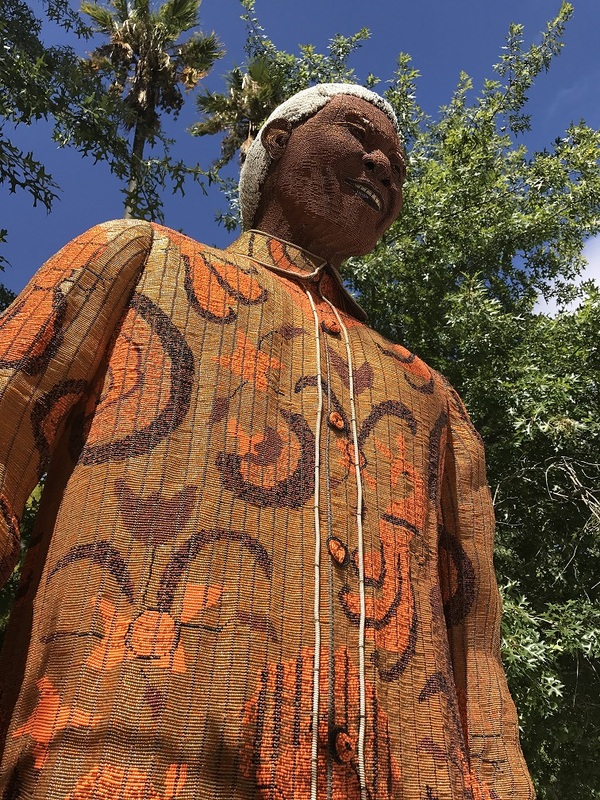 Ok it wasn’t actually Nelson Mandela; but a 3.5m statue that she has visited on a wine farm in Stellenbosch just outside of Cape Town. The statue is made of tiny glass beads, and you can see from the photos that it looks amazing. I based my design on the photo that my friend had sent me. Most of the tea cosy will be made up of intarsia work to create the beautiful swirly pattern of the shirt. I also wanted to include Nelson Mandela’s feet on the cosy. I have left him quite simple. I love the colours, so bright and sunset like. They look a bit retro kitchen.